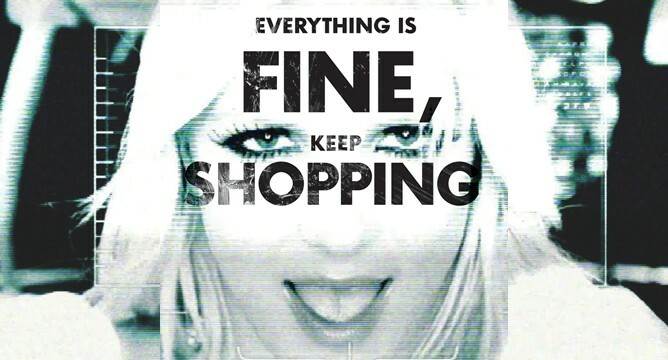 Jedes Jahr, seit inzwischen 20 Jahren, ruft das Adbusters Magazine zum Buy Nothing Day auf, der traditionell am amerikanischen Thanksgiving-Wochenende (= heute und morgen) stattfindet, da dies der Höhepunkt des (vorweihnachtlichen) Shoppingwahns ist. Dieses Jahr wird, so die vollmundige Ankündigung der Mannen um Kalle Lasn, der BND auf eine neue Stufe gehoben, da er in Verbindung mit der #occupy-Bewegung (ebenfalls mitinitiiert durch Adbusters) gebracht wird. Das Ergegbnis nennt sich OccupyXMas und steht unter dem schönen Motto „Alles ist gut, kauft einfach weiter ein“. You’ve been sleeping on the streets for two months pleading peacefully for a new spirit in economics. And just as your camps are raided, your eyes pepper sprayed and your head’s knocked in, another group of people are preparing to camp-out. Only these people aren’t here to support occupy Wall Street, they’re here to secure their spot in line for a Black Friday bargain at Super Target and Macy’s. Occupy gave the world a new way of thinking about the fat cats and financial pirates on Wall Street. Now lets give them a new way of thinking about the holidays, about our own consumption habits. Lets’ use the coming 20th annual Buy Nothing Day to launch an all-out offensive to unseat the corporate kings on the holiday throne. This year’s Black Friday will be the first campaign of the holiday season where we set the tone for a new type of holiday culminating with #OCCUPYXMAS. As the global protests of the 99% against corporate greed and casino capitalism continues, lets take the opportunity to hit the empire where it really hurts…the wallet. On Nov 25/26th we escape the mayhem and unease of the biggest shopping day in North America and put the breaks on rabid consumerism for 24 hours. Flash mobs, consumer fasts, mall sit-ins, community events, credit card-ups, whirly-marts and jams, jams, jams! We don’t camp on the sidewalk for a reduced price tag on a flat screen TV or psycho-killer video game. Instead, we occupy the very paradigm that is fueling our eco, social and political decline.